The Leidenfrost effect is a phenomenon in which a liquid, in near contact with a mass significantly hotter than the liquid’s boiling point, produces an insulating vapor layer keeping that liquid from boiling rapidly. 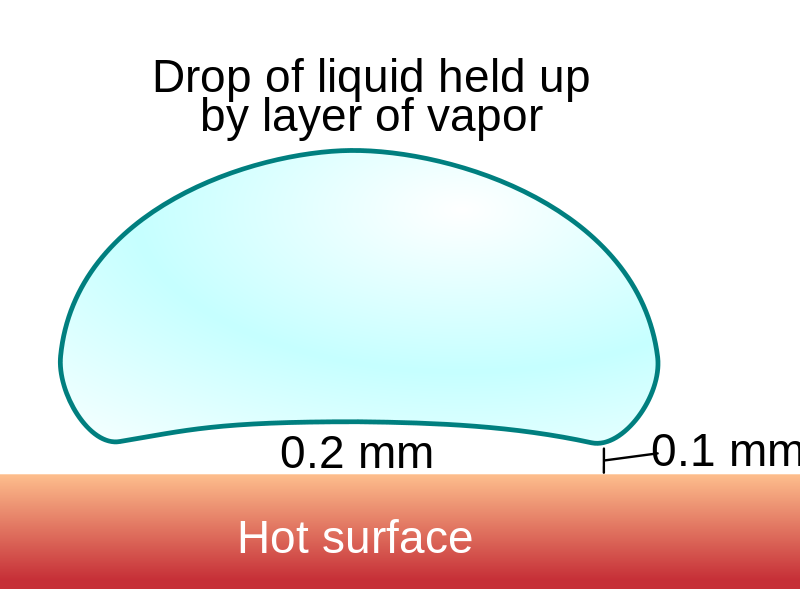 This is most commonly seen when cooking; one sprinkles drops of water in a pan to gauge its temperature: if the pan’s temperature is at or above the Leidenfrost point, the water skitters across the pan and takes longer to evaporate than in a pan below the temperature of the Leidenfrost point (but still above boiling temperature). This is why cooks pre-heat their pans before frying – the Leidenfrost effect helps to stop the food from sticking. This entry was posted in Science and tagged Fun science. Bookmark the permalink. ← Ice blocks or crushed ice?